When my church constituted in September of 1991 there was some discussion about what we would call ourselves. It was eventually determined that we would simply call ourselves what we were–The Reformed Baptist Church of Louisville. In taking that name we were openly embracing the doctrinal distinctives that had come to mark us and that we would commit ourselves to uphold all our days together (you don’t need to use the name to do such). 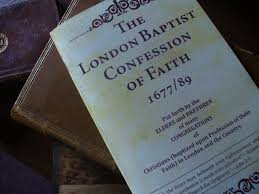 It was our conviction then, and it remains our conviction, that the sine qua non of Reformed Baptist churches was their adherence in principle and in practice to the biblical truths laid out in the 1689 London Baptist Confession of Faith. It was and has remained our conviction that the 1689 is the finest distillation of confessional truth that has ever been penned. In this brief series of blogs, I have been posing the question of where we are going as a group of churches? Will there arise a younger generation of men committed to the truths and practices of their Baptist forefathers? Will the younger generation of Reformed Baptist who have inherited orderly churches press forward with the same vigor that marked the generation of church planters and church reformers? My concern in this entry is whether those who have long held to the distinctive doctrines that mark historic confessional Baptist will continue to unashamedly embrace, expound, defend and propagate those truths to another generation. Will confessional Baptists thrive for future generations or will we give way to a form of doctrinal reductionism in the name of greater unity and church growth? The question for those who have identified themselves as Confessional Baptist in the past is this–will we hold fast to the faithful Word as we have been taught? I am not talking here about the issues of Protestant orthodoxy, as much as I am historic Baptist principles. Will we be the generation that deviates from the doctrinal and practical standards of the past? Will we be ashamed of our views on the Law, the Sabbath, and the Regulative Principle of Worship, among other things? Are we tempted to bend the exclamation points of the past into question marks and if so, why? A drifting from or rejection of open confessionalism seems me to arise for one of three reasons. The first is that the embrace of these issues has resulted in an obnoxious doctrinal pride that grieved the Spirit and isolated us from true and useful believers who differed from us (trust me, this is not unique to Reformed Baptist). The second is that any focus on these distinctive truths will turn us inward and bring about a practical lack of evangelism and missions. It is along these lines feared that unbelievers will not want to be a part of churches who focus too much upon particular doctrines and practices that are so out of step with other churches and which is so radically different from the world in which they live. The third reason is our desire to be recognized and welcomed and fully embraced by the broader Reformed community. The top liners at the conferences, the major authors, and movers and shakers of the Reformed resurgence have not been men who hold to our Confession of Faith. Is the Confession a barrier to full acceptance, especially when our churches have been blessed with so many fine teachers and preachers? Why are these men not recognized in the broader Christian world? The issue of doctrinal faithfulness cannot be overstated. As Reformed Baptist we have no popes or gurus that we gather around. Our connections and commitments have been forged in a fuller understanding of those truths that we believe bring glory to God, that edify the saints, and that will ultimately do the most good to the souls of the unconverted. What is a church to do who wants to be humble, useful, and participate in the good things God is doing in other places? Must we compromise or ignore those things that we once taught and embraced? The pressure that Paul warned Timothy of in the first century remains today: men will not endure sound doctrine. Our response is to preach the Word, to hold fast to the faithful word as we have been taught in faith and in love which are in Christ Jesus. It is to live empowered by the Holy Spirit who revealed and entrusted these truths to us (2 Timothy 1:13, 14; 4:1-5).